We Appreciate our Drivers! We Appreciate our Drivers! Home » News » We Appreciate our Drivers! This week is National Truck Driver Appreciation Week. Your Linen Service, Inc. would like to take this opportunity to thank our Route Salespeople and Driving Staff for their hard work and dedication to our company and our customers. Their work is what gives our company the capability to operate in a quick and efficient manner. Our Route Salespeople and Drivers are the individuals who are working behind the scenes and doing all the “thankless” but necessary tasks and are our “face” to our customers. 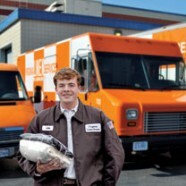 Our customers’ linen arrive on time because our Drivers and Route Salespeople are working all hours of the night and day to make the deliveries needed to help our customers. We appreciate all the work our Drivers and Route Salespeople put in and realize how important they are to our business!